Berlin has always been known as a world hub of culture and technology – at the forefront of developing new ideas and pushing them to fruition. One of these ideas is Bitcoin (BTC), a decentralized pseudo-anonymous online currency, somewhat controversially known for its connection with SilkRoad – a now-defunct online drug emporium. More than 144,000 BTC were seized from SilkRoad by the FBI – now valued at just over 95 million USD (almost 70 million EUR). However, this is only a small portion of the 12,371,900 BTC in circulation at the time of writing, and accounts for only two days worth of Bitcoin transactions (~60,000 daily according to the blockchain). All of this points to a large legitimate use of Bitcoin and it’s happening in Berlin. 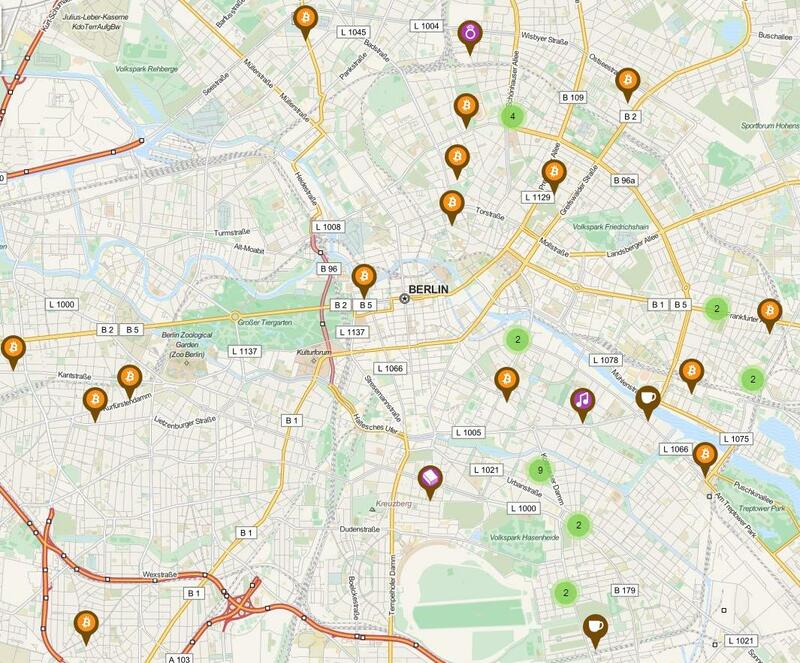 According to coinmap.org, there are at least 48 real, brick-and-mortar businesses in Berlin that accept Bitcoin, a number which makes Berlin one of the largest local Bitcoin markets in the world, and a number which is growing daily. The currency has gained popularity in young counterculture-driven boroughs like Kreuzberg where it can be used in cafes and restaurants, as well as book and music stores. The currency has caught on in the Graefekiez neighborhood particularly strongly and local business owners have set up a Bitcoin-Stammtisch as part of an effort to promote the currency’s use. But Bitcoin isn’t limited to a particular neighborhood or block, it has a presence in almost every industry and is accepted by landlords, attorneys, architects, jewelers, dentists, and web-designers across the city and across the world. Payment is almost as easy as swiping a credit card – the customer uses their cell phone or tablet to scan a QR code, an amount is entered in, and the funds are transferred instantly. Bitcoin is attractive to many because it does not rely on a central authority like a bank to back its value, so it has no transaction fees, payment is secure and instantaneous, and users feel in control of their money. After the global financial crisis, faith in central banks and their currencies plummeted and many consider Bitcoin a safer alternative to traditional financial systems. These same traits can also be disadvantages. The lack of central authority makes mistakes permanent and irreversible, and some Bitcoin trading markets or websites have come under cyber-attack, pushing them offline or resulting in the loss of all the Bitcoins in their system. Because of its novelty, there are few regulations in place to guide users through processes like paying taxes, or transferring and converting to traditional currencies (which some may consider attractive). Finally, Bitcoin is known for gaining and losing half its value over the course of a day – volatility which may drive many away. 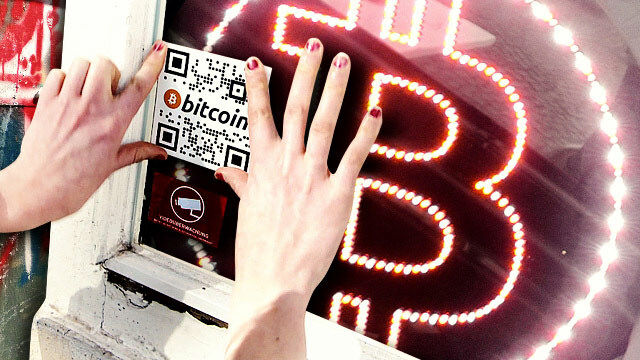 Nonetheless, Berliners have taken to Bitcoin more than perhaps any other city in the world. This should come as no surprise – Germany has a fairly large leftist minority and its unique history has left many Germans skeptical of government regulation and control. 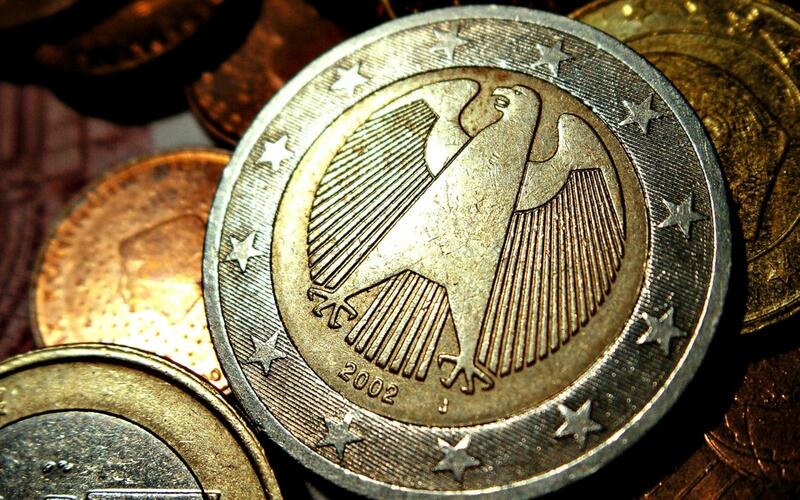 A unique combination of technological prowess and capitalist sensibility make Germany a prime candidate for fostering Bitcoin’s continued growth. The Guardian ran a great piece on Bitcoin adoption in Berlin and noted that merchants “find it hard to come up with definitive characteristics for the “typical” Bitcoin user who walks off the street” – users seem to come from every demographic and background. The future of Bitcoin remains unstable and the currency itself is still confined to the techno-geek niche, but physical adoption of the currency is necessary to help to push the cryptocurrency into the mainstream. Once again, Berlin seems to be ahead of the game. Euromaidan, the persistent group of protesters occupying the Independence Square (Майдан Незалежности) in Kiev, has been protesting for three months now, and are still going strong. Although there has been news coverage about the fight as a whole, it is interesting to note that the opposition group consists of people from all sorts of backgrounds and in my opinion this is why the opposition has been so strong. The name Euromaidan stands for two things: Europe, which is what the opposition wants Ukraine to be integrated into, and maidan, meaning open place or square, which exactly matches the name of the street being used for ongoing protests. Men and women alike participate in opposition’s protests. Photo credit to Ivan Bandura. Euromaidan is focused on bringing down a government deemed to be corrupt, so class, race, and gender differences have seemed to vanish because of a singularity of purpose existing for this group of protesters. Woman carrying medicine to Euromaidan’s wounded fighters. Drawing by Oleksandr Komyakhov. The group of protesters is made up of men and women- young and old, average class folks and even oligarchs. Among the protesters, there are several notable stereotypes. GlobalVoices shows drawings from Oleksandr Komyakhov. Among these are drawings of a wealthy man bringing tires and a woman carrying bags with medicine to help those who are beaten by the Berkut police. The most outrageous is a picture tweeted of an old Euromaidan protester lady, being pulled away by a Berkut policeman. It seems that Berkut is trying to hang onto power in every way possible, even if it means attacking an older woman who probably wouldn’t even cause much harm to the police in the first place. Berkut policeman drags away elderly Euromaidan protester. Among the protesters is a group known as the women’s 100. Yulia, a university student, is part of this women’s 100 group. According to her, this women’s group takes in women of all ages, even 12 year old girls, with their parents’ permission. She says that the women’s 100 goal is to “Try and hold peaceful talks with the Berkut police and the young men who oppose Euromaidan.” They do not support violence from either side, so their main goal is to try and help Euromaidan succeed under peaceful circumstances. Those who do not support Euromaidan’s movement consider fighters of Euromaidan to be violent and extremely dangerous. A certain anonymous blogger was quick to label Euromaidan protesters as “fascists” who beat up innocent men and women of the “For a clean Kiev” group, which supposedly seeks to keep Kiev clean and rid of violence. Both sides have a pretty negative opinion of one another, and it is clear that neither side is willing to give up, which poses a dangerous predicament. If eventually both sides do not come to some kind of agreement, the type of civil violence Ukraine is to encounter will be devastating. Click on the link below to follow Euromaidan’s official Twitter page. I must confess, I love the thought of European food. It’s elegant, fresh, savory, farm-to-table. Broadly speaking, it’s usually the types of things that American food isn’t. Each country in Europe even has its own distinct cuisine, making it a unique area to dine in. As Americans, we dream about the food there. We base our travel plans on where and what we’re going to eat. I’d say it’s even a craze. I mean check out the video below. It is completely dedicated to different places to eat in Europe and there’s hundred of videos out there just like it. That’s because European institutions don’t have policies specifically tailored to the food industry, which means they could lose out to non-EU manufacturers. FoodDrinkEurope urges the removal of barriers to trade, more sustainable food systems, a focus on productivity, and a better promotion of science. Even local European farmers appear worried. Specifically, they are arguing against a looming US-EU free trade agreement that would allow American farmers to essentially sell lower quality food. The concern here is protecting Europe’s high standards when it comes to the environment and animals. Honestly, I believe the real issue here is staying competitive. Europe, I would imagine, knows that it sits at the top when it comes to food. To protect that prestige, there’s no doubt the EU must find a solution to keeping their goods the best. However, at the same time, as American’s we also have to make money, which is the reason for the global market. It’s what drives prices and profits. The problem here, then, is finding a way to make both parties happy, which we all know isn’t the easiest of things to do. Either way, Europe needs to keep its “competitive edge” at least for a few more years so that those of us who have yet to experience it in its authenticity still have a chance to. The Berlin Drug Scene: You know it has to be good. Whenever you think of Berlin, what do you think of? Among the list could be many things – the Berlin Wall, the up and coming start-up scene, the art. No doubt, though, that something included in this list has something to do with the throngs of young people that make the city feel like it’s buzzing – a live wire poised ever so precariously above a bathtub of water. Maybe that’s just me, counting myself among those “young people,” and about to be counting myself as one of those “young people” living in Berlin. Or maybe it’s the clubs that stay open all day and all night, or my experience with the U-Bahn on a Friday night, or the one of the many, many green, open parks littered with young people drinking cheap beer, sunbathing on one of those “soak it up while it lasts” sunny, summer days. With that picture successfully painted, I would like to now point to something that most of the time, albeit stereotypically, comes conjointly with the thought of young people: drugs. ….as if you don’t know what this is…. As cannabis is used by some three million Germans, I felt it only necessary that this be the drug I hone in on in this post. The 2011 Drug Affinity Study (DAS), carried out by the Federal Centre for Health Education (Bundeszentrale für gesundheitliche Aufklärung/BZgA), states that a decline in cannabis use among peoples aged 12-17 can be witnessed in its latest German study, insinuating that the country’s prevention measures, aimed at drug education in middle schools and recreational settings, just might be working. But what about the older inhabitants of Germany, aged 18 and above; the ones that can legally drink all types of alcohol and smoke tobacco in public? The findings on the 18-25 age group, according to the DAS, show no such reduction, with cannabis remaining the most frequently used illicit substance in this age group across studies. It would seem, then, that cannabis is here to stay. And guess what? The mayor of Kreuzburg borough in Berlin, Monika Herrmann, thinks so too. At the moment, German law prohibits the sale and purchase of cannabis, but allows each federal state to decide how much one may personally possess without being arrested: in Berlin, the amount is 15 grams. Monika Herrmann would like to take this somewhat relaxation of the law even further, by implementing various government-run “coffee shops” where valid card holders over the age of 18 can buy a specified amount of cannabis from a member of a medically trained staff. Though the benefit to cannabis smokers this suggested new law would bring is obvious, the reasoning behind Herrmann’s thoughts is hardly all fun and games. Her proposal is an attempt to combat the ever-growing issue of the black market in Berlin, something that hosts a medley of social problems, from allowing illegal immigrants to make a somewhat steady income without putting anything back into the economy, to problems concerning the purity of the cannabis that is being sold. Herrmann uses Kreuzberg’s Görlitzer Park, a place infamous for its nearly infinite amount of drug dealers, as one of her prime examples. As quoted by SmartPlanet, Herrmann states, “Punishment hasn’t changed a thing in these cases. We’ve had police raid after police raid, and the sellers are back before you know it… the current direction isn’t working anymore, and we need to try something else.” Her version of this “something else” has been put to successful work in various other countries, the American state of Colorado being one of the newest members to join in the growing trend. Though this progressive view on cannabis is one shared by many, it should not be confused with an overall lax view on drugs; rather, it should be seen as the opposite. Another of this potential new law’s take home points is that with the regulation of cannabis would come a differentiation between “hard” and “soft” drugs. I am not one to buy into the whole “gateway drug” argument, but it is hard to deny that there is the potential for this argument to be somewhat valid when studies like this one done in 2011 on the E.U show that 52% of the cannabis users it surveyed in Sweden, a country where cannabis is illegal, full out, said they were well aware that other drugs were available for purchase through the same location that they bought their cannabis from. Now, does this mean that all people buying cannabis will eventually move on to buying harder drugs? Of course not. But does it mean that if those people buying cannabis wanted to buy other, harder drugs from their cannabis dealer, they could? Yes, yes it does. Obviously, if people want to buy harder drugs, they can and most likely will be able to—if they just take a stroll through Görlitzer Park, I’m sure they’ll find what they’re looking for. But when buying cannabis from a “coffee shop” becomes a regulated, regular thing, people simply do not have these same easy options for access to harder drugs. And hey, given that the consumption of cannabis literally cannot kill you, doesn’t it seem like a better alternative to separate it from drugs that most definitely can kill you? Though only time will tell if this potential law will become a reality, the fact that it is circulating at all is telling of the times—a harbinger of what is to come for Berlin’s “notorious” drug scene. GMOs, or genetically modified organisms, are predicted to be in approximately 70-80% of all processed food here in the U.S. According to the Non-GMO Project, GMOs are plants or animals that have been genetically altered with the use of DNA from bacteria, viruses or other plants and animals. You ask, are foods containing GMOs safe to eat? The answer will vary depending on who you ask. The FDA considers GMOs to be perfectly safe for human consumption (and even have a forum on their stance on GMOs on their website), while avid anti-GMO organizations like the Non-GMO Project will tell you otherwise. They will tell you that foods containing GMOs are polluted with more herbicides/pesticides (since they’re genetically engineered to resist these), are disastrous for the environment, and the long-term effects of these on humans have not yet been adequately studied. Over 60 countries (Germany, UK, Australia, Norway, and France, to name a few) have concluded that the use of GMOs in their food supply is hazardous to humans and have laws protecting against GMOs in their nation’s food supply. The numbers of countries that are proposing similar bills are steadily growing. Surprisingly, Russia may be next. About a week ago, a bill was prepared by several members of the Parliament that would completely ban the domestic production of GMOs in Russia and drastically restrict the importation of genetically-modified produce in Russia. Currently, there are no restrictions on the production of foods containing GMOs. However, if a food contains more than 0.9 percent of GMO product, it must be labeled on the product itself. Although the authors of the proposed bill are hopeful that this bill will be successful once it is proposed in the DUMA, it will be interesting to see how a topic such as this one will be addressed in an agricultural powerhouse like Russia. According to the Business Insider, Russia is the #8 largest exporter of wheat in the world and the country itself consumes more than 38 million tons of wheat yearly. It is unclear what a ban on GMOs would do for the success of the Russian wheat industry. However, one thing is clear: if successful, this decision could potentially set a standard among other nations, like the U.S., that currently have no restrictions on foods containing GMOs. Personally, I have several family members who operate small-scale farms in the Caucasus region of Southern Russia. They grow a variety of fruits and vegetables and raise approximately a dozen chickens, either for eggs or for personal consumption. The techniques they use in farming would not exactly be considered “modern” or “industrial.” Instead, they use methods that have been passed down to them from past generations. They do not sow seeds into the earth that have been genetically modified because they use the seeds from the previous harvest to get them started on the next. The concept of GMOs is one that is unknown to them. They are not going out of their way to be self-proclaimed organic farmers, they are just using the techniques they know work best for them. Although a general consensus about GMOs has not yet been reached, it is definitely worrisome to think about the fact that GMOs are a fairly new invention (about 20 years old) and the long-term effects of GMOs on the human body have not yet been discovered. One question remains: GMOs, the next silent killer? The Olympics have always been a rallying point for nations to set aside their various disputes and come together to celebrate diversity and athletic excellence. This year, that aspect of the games will be more important than ever as Russia continues to work for unity in a region known for ethnic disputes. According to the Associated Press, even as work crews were putting the finishing touches on the brand new sports complex on December 29th last year, an explosion triggered by a suicide bomber ripped through a railway station in the southern Russian city of Volgograd, killing 13. The attacks were blamed on a known Chechen terrorist and are indicative of the turbulent nature of the whole North Caucasus. This year marks the very first winter Olympics to be held in Russia, and the first time any Olympic games have been held there since 1980. Needless to say, the pressure is on for Russian President Vladimir Putin and his government to make sure everything goes off without a hitch. This is especially true considering the fact that human rights groups such as The International Crisis Group have been actively keeping tabs on this volatile region for decades, monitoring the ongoing struggles of native Circassian and Chechen rebels against the Russian authorities. The location of the games serves as a strong symbol of Russian authority in the North Caucasus. According to Sochi’s official website, the region did not fall under Russian control until 1864, after the Russian Empire forced out the Ottoman Turks. Large numbers of Circassians were forcibly deported or killed shortly afterward, beginning a long and uneasy history of Russian control. Even now, Sochi is positioned close to the contested region of Abkhazia, which was the cause of a Russian invasion of Georgia in 2008 and remains to this day a source of conflict between the two countries. Undoubtedly, Putin plans for the winter games to showcase Russia’s ascendancy in the post-soviet era and put to rest allegations of misconduct which have been brought against his regime for its policies towards the North Caucasus. According to the blog “Russia!” the Russian government has allocated about $15 billion to alleviate the North Caucasus from its economic stagnancy and its political turmoil, mostly through efforts to encourage tourism in the region through the construction of numerous resorts and the Sochi sports complex. The Russian Federation means to use the games as a focal point for international and local attention. They will be a source of inspiration which will both advertise their efforts to revitalize the North Caucasus and provide legitimacy to all of their ongoing diplomatic disputes. Of course, this all hinges on the ability of Russian authorities to keep the games clear of any major protests or violence. Corruption and sports are two of Russia’s favorite pastimes. From now until Feb. 23 both will be on full display at the XXII Olympic Winter Games in Sochi. These Winter Olympics are the most expensive Olympics ever, costing $51 billion. As the world arrives in Sochi, journalists are finding everything from unpainted rooms to restrooms with two toilets in the same stall. Threats from terrorists and cyberattackers also create an ominous shadow for games that are meant to bring the world together. The mere presence of the games in Sochi is a symbol of the corrupt nature of these games. Sochi is a summer resort town next to the Black Sea. Snow? Well Sochi has it. Sort of. Organizers stored snow from last year under special thermo blankets. NBC News reports that 75 percent of Sochi’s snow is manmade, using 403 snow guns that line Sochi’s mountains. If Sochi still doesn’t have enough snow, si.com reports that organizers built a snow making plant that can make snow at temperatures up to 59 degrees. The snow isn’t the only quirk at these games. Far from it. Sochi is the warmest place in an otherwise cold country. High temperatures were in the 50s and 60s this week in Sochi. Highs were in the 40s and 50s in the mountains. Some skiers even skied in short sleeves. There’s also the issue of toilet trouble. Bloomberg news is one of many media outlets to report that many restroom stalls in Sochi have two toilets and no partition to divide them. Bloggers and Russians are seeing the toilet gaffs as symbols of corruption that caused the cost of the games to soar. The internet meme below combines the word Sochi with the Russian word for taking a crap. There’s also a pillow shortage in Sochi. Deadspin reports that Luiza Baybakova, a member of the catering company, posted this photo on Instagram telling volunteers that pillows will be transferred from their apartments to a storehouse. The pillows will then be given to athletes who “unexpectedly arrived”. But wait, Sochi’s doors must hate U.S. Bobsledder Johnny Quinn. Saturday Quinn got stuck in a bathroom in Sochi when he showered before an appearance the “Today” show. Quinn couldn’t open the door and had to run through the door to get out. Quinn tweeted this photo after he finally got out. Even the opening ceremonies at the games were not spared embarrassment. The ceremonies tried to highlight Russia’s strength and power in the world. But once again Russia showed what $51 billion couldn’t buy. Five snowflakes were supposed to change into Olympic rings, but one malfunctioned. In Berlin, people have been rallying under the slogan “Genug ist Genug—Macht euren Mund auf” (“Enough is Enough—Open Your Mouth”) in protest of tightening restrictions against LGBTQ activity in Russia, the host of this year’s Winter Olympics. In August, 4,000-5,000 protesters (the number varies a bit depending on the source) marched past the Reichstag to the Russian embassy in the hopes of motivating a repeal of Russia’s most recent anti-gay law, which Russian president Vladimir Putin had signed into effect two months earlier. Protesters organized again to light a ‘rainbow flame’ on the city’s Potsdamer Platz on the day of the Olympic opening ceremony. They intend to keep the flame burning for the duration of the games, the same amount of time that the Olympic torch is set to burn in Sochi. Berlin-based drag queen and DJ Barbie Breakout also told viewers to “Open Your Mouth” as she (quite literally) sewed her mouth shut on camera. In an interview with Vice Magazine, she said that while she is not a particularly political person, she didn’t merely want to sign a Facebook petition against Russia’s anti-gay legislation either. You can see the video (as you might have guessed, it’s graphic) and check out the German-language interview here. Then there was that awkward moment when the media started using the label “gay protest” for things that are not gay protests at all. Now, the rainbow tracksuits in Russian band t.A.T.u.’s lesbian-esque preshow performance at the opening ceremony, well, those were most certainly a whole ‘nother story. Chrysler’s Super Bowl Ad for their updated Chrysler 200 sedan was a disappointment. In part, it felt like they recycled the main elements from the 2011 Chrysler 200 commercial, which featured rapper Eminem. But mostly, it was the fact that rather than just using their “imported from Detroit” slogan and talking about their brand or their cars, they took several entirely unnecessary jabs at German car makers. The first instance was when the commercial’s narrator, Bob Dylan, says “…because what Detroit created was a first and became an inspiration to the…rest of the world.” As he says this there’s a shot of a highway and then it cuts to a sign that says “Autobahn.” Now, either they were saying that Detroit was first to make a car or first to make a dedicated roadway for cars, but either way, those accomplishments belong to, respectively, Mercedes-Benz (who were first to build what we consider a car), and the Italians (who built the first “Autostrade” connecting Milan and Varese). He then talks about how you “can’t import the heart and soul, of every man and woman working on the line,” as though somehow Germans don’t have humanity either. Funny, since one of Mercedes selling points for their AMG line is that only one person builds your engine and their name is laser engraved on it. Chrysler (and GM), on the other hand, actually uses more robots and only lets humans only interact with specific vehicle parts that weigh below a specified amount. As the owner of two cars that were imported from Munich, I was offended, to say the least. Both of my BMWs were sold and re-sold only to Americans and serviced by Americans. And from a cultural perspective, both of them offered technology that American manufacturers simply did not offer during the periods when they were made. Today, two German car makers are actually VERY American. Volkswagen is committed to making as many of its US sold cars as possible, in the US. They happen to have chosen Tennessee as the home of the most sustainable car manufacturing plant ever made, which is staffed almost exclusively by Americans (many of whom were laid off by Chrysler and GM). The new Chrysler 200 may be made in America, but it relies on designs and technologies developed by Fiat (an Italian firm who…you guessed it, owns Chrysler). Meanwhile, Mercedes-Benz is actually widely regarded as one of the top 100 employers in the United States and also has a large plant in Georgia (another employer of workers laid off by Detroit’s Chrysler and GM) where it makes its best selling cars for US buyers. Toyota and Honda, Japanese manufacturers, also have plants in the US. Furthermore, both Mercedes and Honda house their primary design studios in California. All in all, I think Chrysler was perfectly capable of making a case for their new car and their patriotism without knocking Germany. Since when did being a proud American require you to bring down someone else? In an increasingly globalized society, you have to walk a fine line if you want to push patriotism as a selling point. Luckily for Chrysler, their cars sport Lancia (an Italian brand owned by Fiat) badges when sold overseas; so hopefully buyers in Europe won’t notice their “Lancia” is made by the same company that just insulted them.